With all the negativity in the world seemingly hitting an all-time high, the wonderful people at Sonic took it upon themselves to do something to make the world a better place! 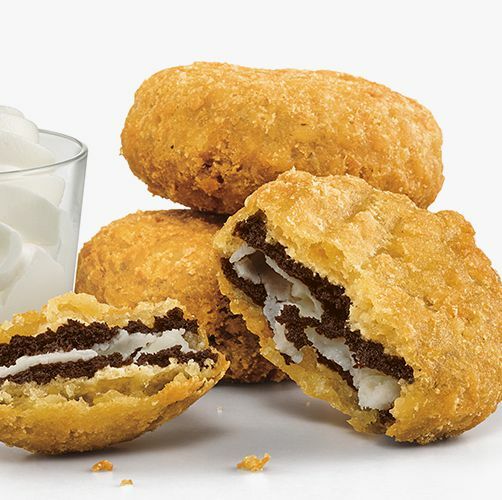 Starting January 29th, 3 Deep-Fried Oreos (with a side of vanilla ice cream) will be available on Sonic’s All Day Menu under the well titled name Oreo A La Mode! But that is not the only bit of awesomeness Sonic is bringing to our world in 2019! Just to secure their place on the list of finalists for the 2019 Nobel Peace Prize, they decided to go the extra mile and added Cinnabon Cinnasnacks as well! 3 Buttery pastries filled with cinnamon roll filling and also served with a side of vanilla ice cream! No longer will you need to drag yourself down to the local county fair just to wait in line behind a 400-pound-overall-clad-half drunk-guy (probably carrying on and on about how awesome NASCAR is) just to get your deep-fried fix on! I mean you still can, you just won’t need to. Other recent Fast Food News includes KFC’s new scented candles! Previous Baby Shark Series Coming To NetFlix. Time To Purchase Stock In Booze Distilleries!